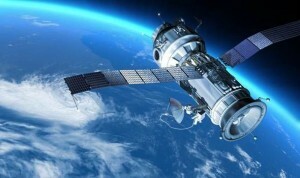 nbn has launched one of the world’s most advanced communication satellites from the Guiana Space Centre in South America. The first of two satellites for the National Broadband Network has been launched to provide Australia’s remotest populations with high speed nbn internet access. It will service the 3% of the population who do not live within the NBN footprint of fixed-wireless, fibre, and hybrid fibre-coaxial (HFC) nbn internet networks. The satellite, named ‘Sky Muster’ by seven year old Bailey Brooks and her classmates of the Australian School of the Air, will provide those people living in remote and rural areas of Australia with high speed internet access with maximum internet download speeds reaching 25 megabits per second. NBN program director for Satellite, Matt Dawson has said that it will take a while before the satellite is fully functional. This is for good reasons though “we need to mitigate the risk of either some technical function [of the satellite] not working, but also all of the business processes and business operations and IT systems that we wrap around all of that to be able to offer commercial services and a commercial product.” Dawson said. This may be in response to the backlash against Labor government’s interim satellites service which saw so many people signing up that internet speeds slowed to a crawl. NBN’s general manager of fixed wireless and satellite, David Williams, said in August that this would not happen with the new Ka-band satellites the NBN are using. There will also be a ‘fair use’ policy in place to stop the few people who may abuse the service from doing so, thus meaning equal access to the satellites for everyone using them and preventing network congestion and ensuring quality internet speeds for all users. “We want to make sure that the end users on the long-term service satellite have an excellent service, and to do that, we need to place some rules around how that finite amount of capacity is fairly managed across the network.” Dawson said. So it seems, to us, like NBN is doing everything in it’s power not to have a repeat of Labor’s satellite internet mishaps. The second of the $620 million Ka-band satellites is set to be launched sometime next year, after ‘Sky Muster’ is up and running successfully. If there are any problems with ‘Sky Muster’ though it will be launched sooner rather than later next year. The two satellites will be backed by a network of 10 stations on the ground. Each ground station will have 2 satellite dishes. The ground stations have been specifically built in locations across the country to ensure maximum availability of the network. The satellites are part of a project that will enable nbn to deliver broadband internet services to over 200,000 rural houses and businesses, providing internet download speeds of up to 25Mbps.